Entwine Jewelry - "The Art Faculty"
The Art Faculty Poster. My jewelry piece "Fourteen Coiled Baskets" was included in this show at the Wenatchee Valley Museum and Cultural Center. 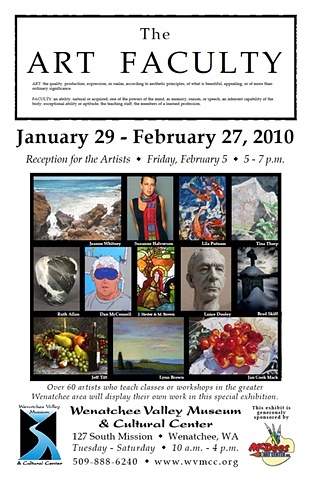 January 29-February 27, 2010.